The 15th edition of the Red Bull Music Academy is descending upon New York City from September 30th to November 2nd 2012. This autum/fall, 60 producers, vocalists, beatmakers, instrumentalists and DJs from 35 countries will set up shop and exchange musical visions with some of the very best trailblazers of today’s musical landscape. Successful applicants will attend private lecture sessions and collaborate on music in an expansive, custom-built creative studio space in Chelsea that is being designed by acclaimed architect Jeffrey Inaba and outfitted with several recording studios and multi-purpose workspaces. All New Yorkers will have an opportunity to experience the power and enlightenment of some of the world’s best music acts, across all genres. A series of ticketed and free shows will occur in various venues around town – NYC music festival style. The full schedule of signature concerts and club nights will be announced in late August. More than 1,500 musical luminaries have participated in past incarnations of the Red Bull Music Academy. Former lecturers include Chuck D, Erykah Badu, Steve Reich, Sly & Robbie, Mark Ronson, M.I.A., Hot Chip, dubstep pioneers Skream and Benga, MF Doom, James Murphy (LCD Soundsystem), RZA, Gilberto Gil, CHIC’s Nile Rodgers, El Guincho, and pioneering synth inventor Bob Moog, amongst others. The Red Bull Music Academy has been pairing industry legends and emerging music-makers since 1998 in cities such as Berlin, Seattle, Cape Town, Melbourne, Barcelona, Rome, São Paulo and London. Each Red Bull Music Academy leaves behind structures to inhibit musical collaboration and creative exchange for years to come. 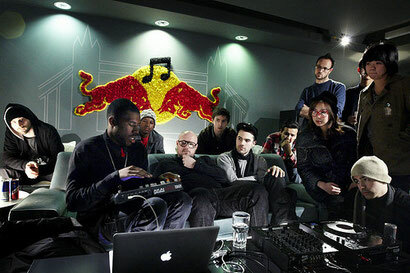 By the end of 2012, there will be eight fully functioning Red Bull Music Academy recording studios around the world. Should there be another persuasive post you can share next time, I’ll be surely waiting for it. Hi there, I found your blog via Google while searching for such kinda informative post and your post looks very interesting for me. I thank you very much for all the effort you have done well. Especially in the article that has been painstakingly created so that you can read everyone. Everything I've read, is quite clear and easy to understand. But I regretted one thing, you describe it less logical. Maybe for others it is quite easy, for me this complex. Hopefully in the future you can write better.